In Charles Fairman's 1913 book "Works of Art in the United States Capitol," 15 of 142 artist biographies are of women. That number has now more than tripled. 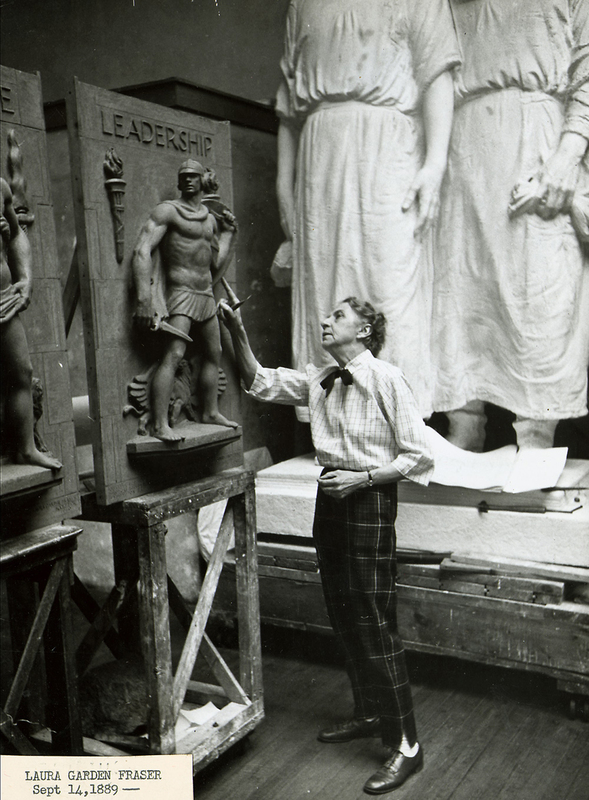 Women artists have sculpted 16 of the 100 statues in the National Statuary Hall Collection. 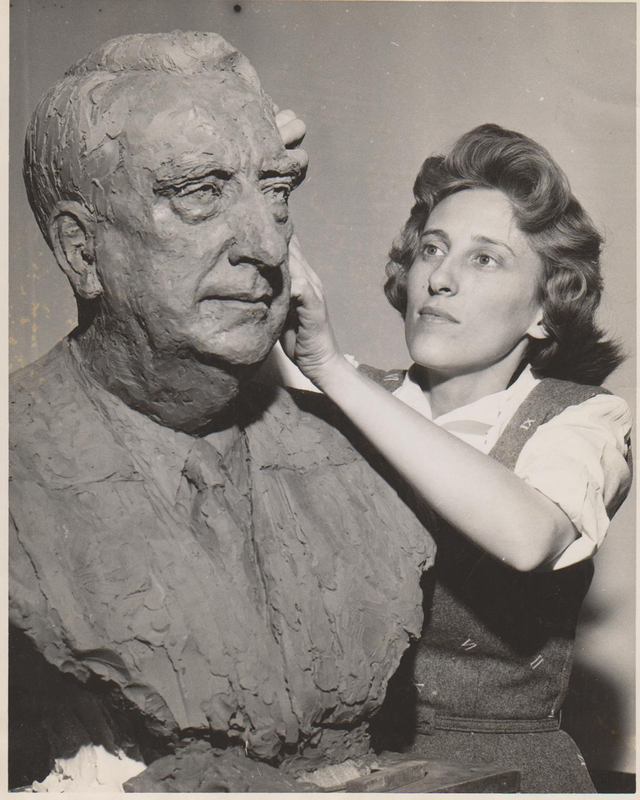 The most recent statue sculpted by a woman to be unveiled is Barry Goldwater by Deborah Copenhaver Fellows, given by Arizona in 2015. Below are examples of women artists with works featured in the United States Capitol and Congressional office buildings. Painting "The Florida Cause before the Electoral Commission"
Laura Gardin Fraser in 1889. Stained glass, "George Washington Memorial Window"
Jimilu Mason working on the bust of U.S. Chief Justice Frederick M. Vinson. 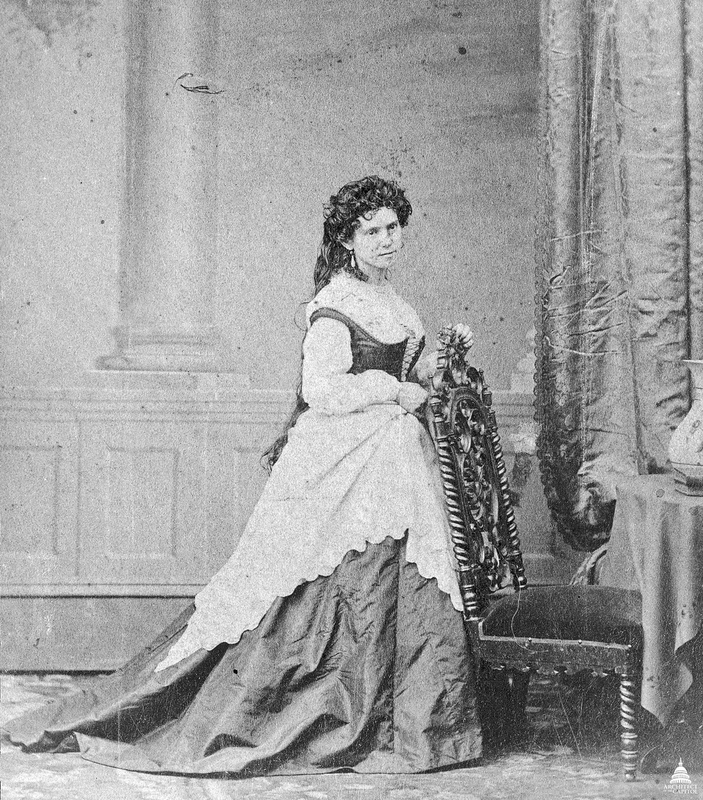 Vinnie Ream, the first female artist commissioned to create a work of art for the United States government.